Hello again! I'm excited your back. I want to switch gears a bit for the next couple of days, and talk about our time on Oahu during our trip to Hawaii. We decided to spend one day on Oahu during our holiday in Hawaii. We opted to fly there early morning, and head back to Maui late night. We were so glad we did this on many accounts--to get to see Pearl Harbor, that it was only for one day & not multiple, and to get a feel for another Hawaii locale. It reiterated that we had chosen the right spot on Maui. Our day on Oahu consisted of exploring Pearl Harbor, the pineapple fields, the North Shore, and a smidgen of Honolulu. Honolulu on Oahu, Hawaii felt like a completely different world from Maui, except for the North Shore. 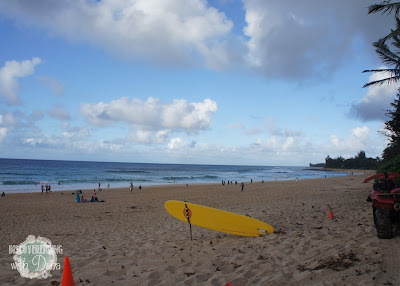 We enjoyed a drive in a convertible we rented north from Honolulu towards the North Shore through the pineapple fields, stopping at Dole Plantation (which I'll talk about late), and along the northern coastline to Pipeline Beach. From the Dole Plantation, we drove north on 83, making a stop in Haleiwa. It was a sweet little surfing town, with darling shops and quaint lunch spots.We decided to try Luibueno's Restaurant for lunch, a family owned Mexican food restaurant. Before we went to Hawaii, I loaded up on Mexican food, a Texan favorite of course, expecting to not find it on the islands. Boy, was I wrong! We had Mexican food several times during our stay, but Luibueno's was hands down my favorite! Would you believe I want all the way to Oahu to fall in love with guacamole?! Yup! Hated it before this vacation, but fell in love with it far, far from Mexico. 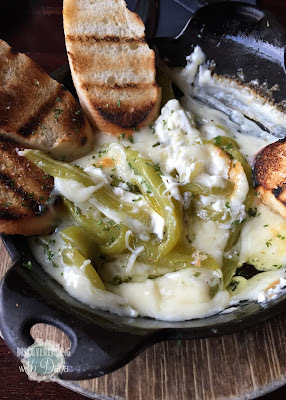 We also had their white queso, which was TO DIE FOR! 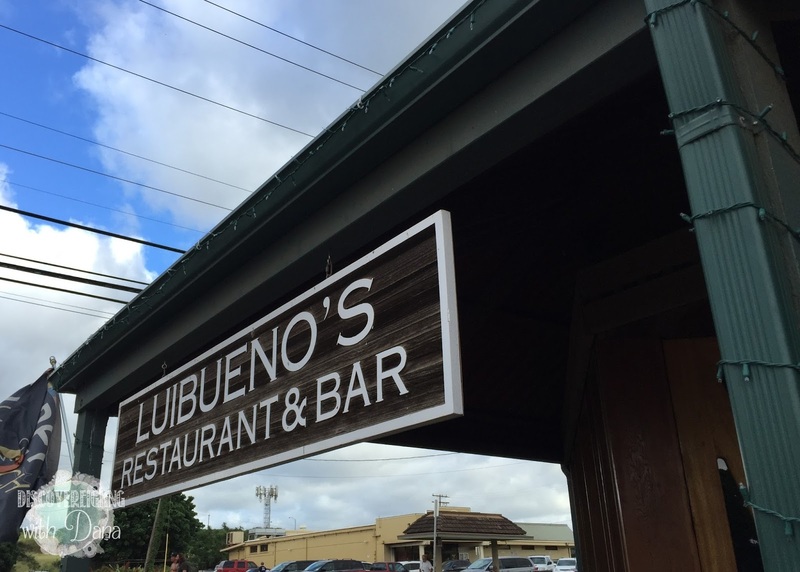 I highly recommend this spot in Haleiwa for lunch or dinner. As we left Haleiwa, the closer we got to Pipeline Beach, the more congested the roads became, the most traffic we'd seen thus far on Oahu. We knew we were definitely headed towards a top spot. But with the top down and slow drive, we enjoyed ourselves nonetheless. Feeling the sea breeze in our hair, smelling the salty air, and just enjoying slow and easy living was dreamy. Once we made it to the beach, we found a parking spot, finally, and walked barefoot in the sand to the water. 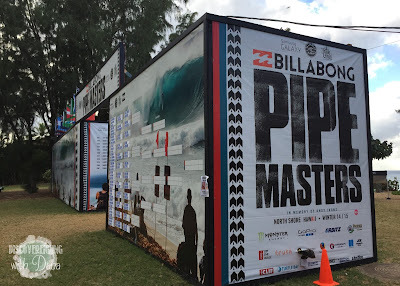 Once we made our way to the beach, we noticed the Billabong Pipe Masters signs, booths, and bracket. We'd hit the jack pot! No wonder it was so busy, we'd unknowingly stumbled upon one of the greatest surfing competitions in the world! Though it turned out the surfers were on break for the day, we enjoyed seeing the brackets anyhow. We took a little time here to people watch, get a free "pedicure" along the sand, and to just enjoy taking in life. 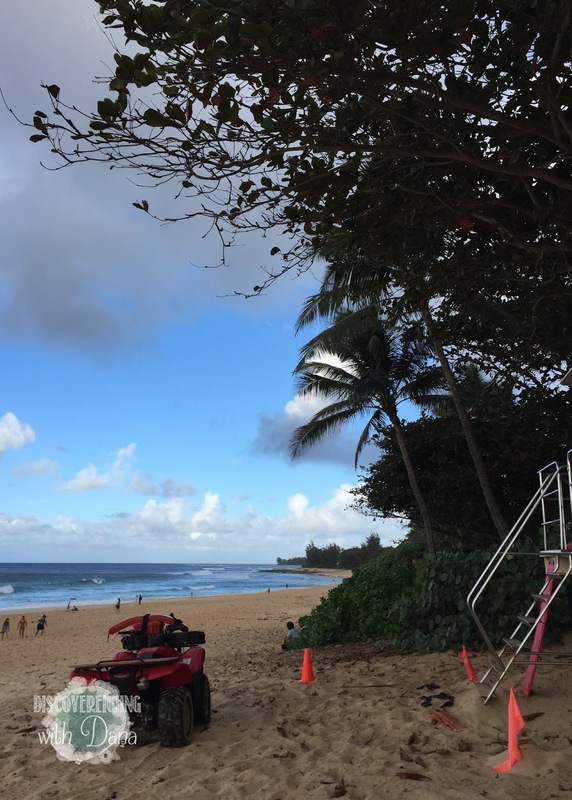 After our drive to the Pipeline, we headed back towards Honolulu. This is where things got crazy! The closer we got to Honolulu, the crazier the traffic became heading out of the city. Luckily, we were headed TOWARDS the city, so weren't stuck in traffic. In fact, we were rolling along so well, we were stopped and ticketed. #whoops #enjoyingthatconvertible But as we got into Honolulu to make our way to Waikiki, the more traffic there was. This is where I knew, undoubtedly, we'd made the right choice to stay on Maui. Leading up to Waikiki Beach is a park. 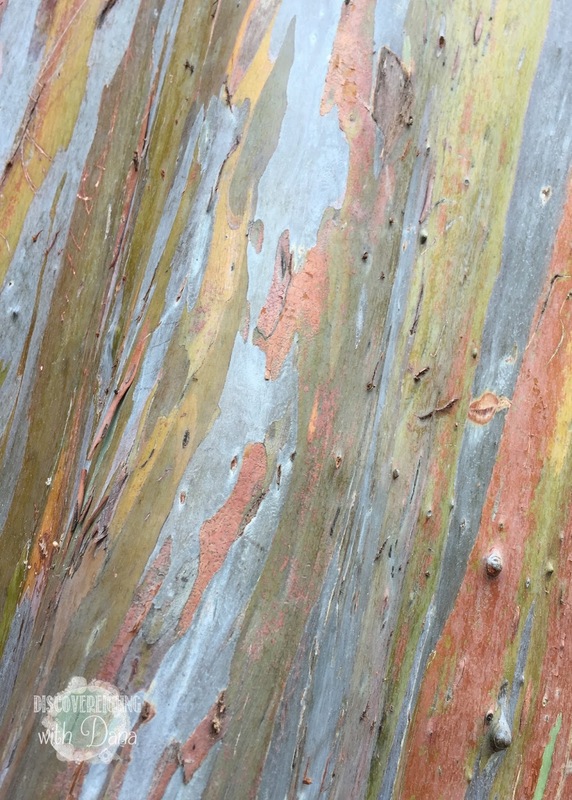 This park is unlike anything I've ever seen. In fact, I was in shock. The further we went, the more in shock I was. Now remember, it is bumper to bumper traffic the closer we get to Waikiki, and we are moving very slowly in a convertible. Anyhow, that park. In the park was lines and lines of tents where hundreds of homeless people live. I'd never seen anything like it. But that wasn't the real shocker to me. The real shocker was that just a a mile or so down the road were the skyscraper hotels and most expensive shopping boutiques in the world where thousands of people were swarming. Didn't people see what I saw along their journey to Waikiki?? I couldn't imagine being in such close vicinity of such sadness, and just mindlessly spend money that way, pretending I was in paradise, ignoring what I'd seen. With all the traffic, car and pedestrian around Waikiki, we didn't even stop. I saw only a glimpse of the beach, but that was enough for me. I couldn't imagine pretending what we'd seen didn't exist, walking along the sweet sands of "paradise" where just a few steps away was so unhappiness. I know this "story" is far deeper than I know or am touching on, but for me seeing, not the homelessness, but the luxury of Waikiki in such close proximity to the homelessness completely turned me off. I couldn't in good faith enjoy myself there knowing the problems just down the street. I know these problems are indeed everywhere, but I just can't really explain the feelings it gave me. And I just want to be honest in sharing this. 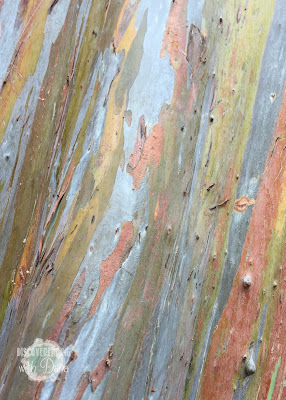 I am still so glad we went to Oahu, and so glad we saw everything that we did. We learned so much in one short day, and made memories and had experiences that I will never forget. Thank you for taking the time to read today. I'd love to have you back tomorrow for more on Oahu. See you then!